Trendy pendant lamp “Metal Bowl” with wood print. Diameter 50cm, 1x E27 Fitting, Max 60 Watt suitable for every type of light bulb. 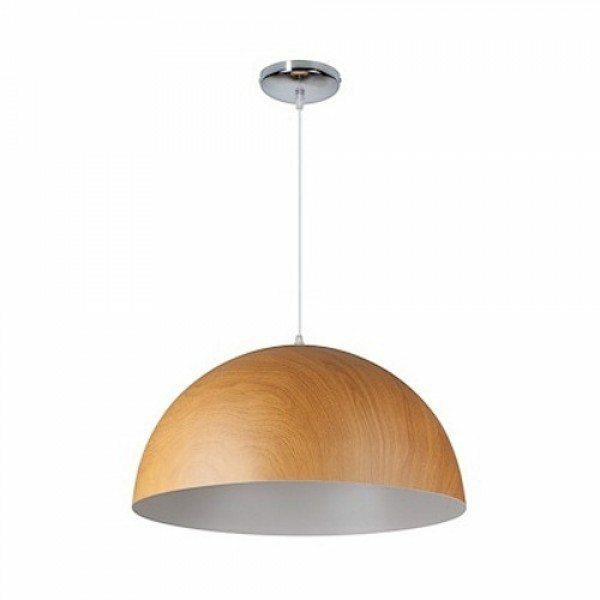 Trendy pendant metal lamp “Bowl Wood”, with a wood print which gives the lamp more sophistication and an natural look. Inside of the shade is white, for more and neutral colour light reflection. Diameter 50 cm, 1x E27 Fitting, Max 60 watt suitable for every type of light bulb. This bowl shaped pendant with wood print is easy to fit. Just mount the supplied bracket on your ceiling, on which you can mount the ceiling hood. This hood can also store the excess cord, so you won’t have to cut it.